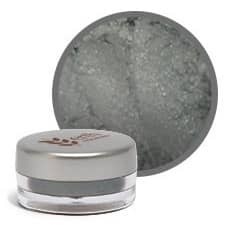 Erth Minerals Bleu Eyeshadow is a fabulous, greyish blue with a brown undertone and sparkle. It is a pearlescent shadow. Pure, mineral eyeshadows are fun, semi-translucent and sparkly, yet soft enough to give a natural look and feel. 100% Natural - No preservatives, no chemicals, and no dyes- just pure crushed minerals. Erth Minerals Eyeshadows can be applied either to the lids with a firm shadow brush, or with an angle liner brush being applied as eye liner. Since discovering this eye shadow, I have loved it! I get a lot of compliments on it when I wear it....it shimmers but still is natural!!! Beautiful color and shimmer! If you have pink eyelids...this might not be a good base color for you...Your eyelids will look very pink/red like you've been crying. It does work nicely if you lightly layer it over another color. Very nice eye shadow :) you don't nice much and it's very shimmery and pretty. A pretty pink color.. Suttle and matches well with the dual highlighting liner with the pink.. 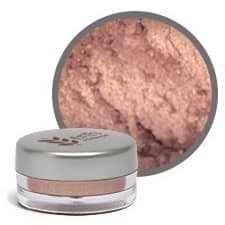 I always get this cocoa eyeshadow shade!<br>Love it,<br>I also use it with a little oil, mix it to make a brown 'paint' for when my roots grow out- great chemical free remedy!